The wrapper is medium brown and has some slightly raised veins that carry a lighter color. The seams are smooth but slightly visible due to vein placement. The head is finished off with a well applied double cap. 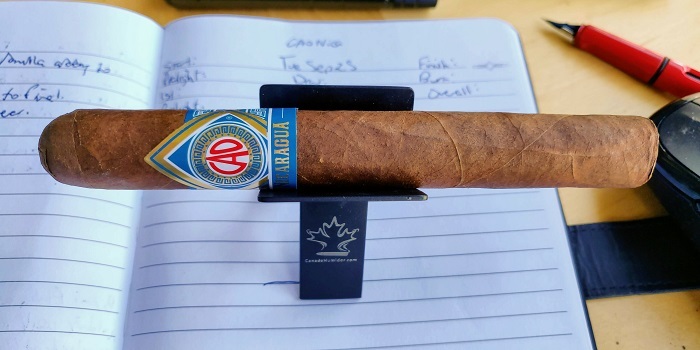 The band is blue and gold and has a similar design of the other cigars in the country series. The aroma from the wrapper is a mix of leather and barnyard while the foot brings some wood and a fair amount of stone fruit sweetness. The pre-light draw brings leather and a very subtle sweetness along with a pretty decent spiciness on my lips. 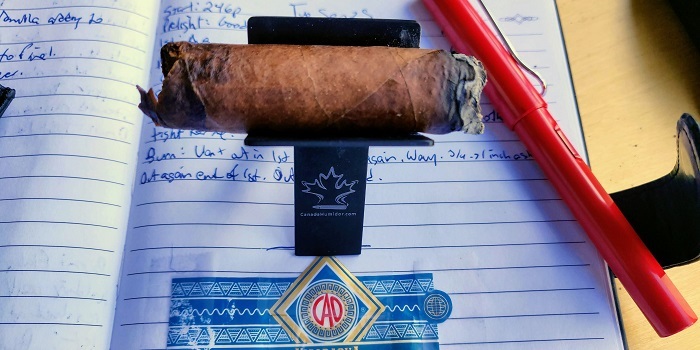 The CAO Nicaragua Granada has a smooth, chocolate brown wrapper. The band is a blue, gold, with red CAO letters in the middle. The wrapper has aromas of spicy cedar with light cocoa underneath. The foot has a sweet raisin at a light strength level. 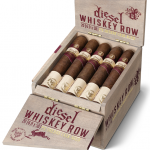 The cigar begins with some wood, baking spice and a subtle stone fruit sweetness. At a quarter inch in, the stone fruit sweetness is replaced by a mustiness. At three quarters of an inch in, some of the sweetness returns on random draws, pushing through the mustiness. The retrohale is primarily mustiness with some wood and baking spice in the background. At an inch and a quarter, the wood, baking spice and mustiness are all at equal levels. As the third comes to a close, the mustiness takes a slight lead over the wood and baking spice. The strength in this third was mild-medium. 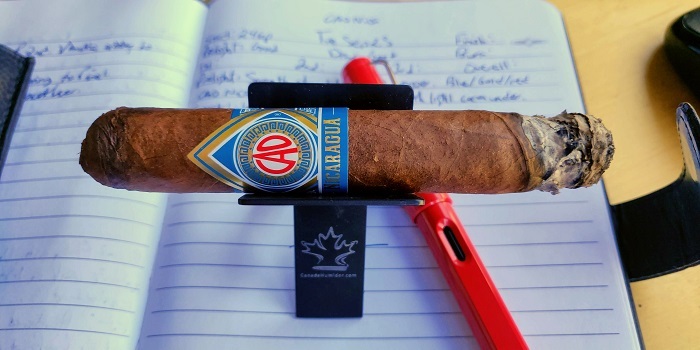 The flavors I get on the first few puffs are spices, cedar and some bready notes underneath. The spices are more sharp, and intense on the retrohale. The cedar carries into the post draw, and there’s some earth joining it. Several minutes later, some chocolate mixes into the post draw, and then eventually comes through on the retrohale. Once the first third establishes itself, some mild black pepper sits at the back of my throat. As the second third begins, a bit of cream joins in with the profile of musty wood and baking spice. At a half inch in, some char joins the profile. At an inch in, the charred wood and mustiness are up front and the baking spice and cream are in the background. Along with the musty wood, the retrohale also carries a bit of a floral note. At an inch and a half, some of the floral note makes its way into the mouth draws along with the musty wood, cream and baking spice. As the third comes to a close, the mustiness and creaminess both increase a bit. The strength in this third remained at mild-medium. The spices move up in intensity going into the middle third, with the cedar predominant on the post draw. A few minutes into the middle third and some mild spices are joining the post draw. There were no more flavor evolutions through the middle third. As the final third begins, the musty wood is up front with a slight creaminess in the background. There is no longer any baking spice in the profile. At a half inch in, the mustiness has really picked up as the wood has gained a bit of char again. 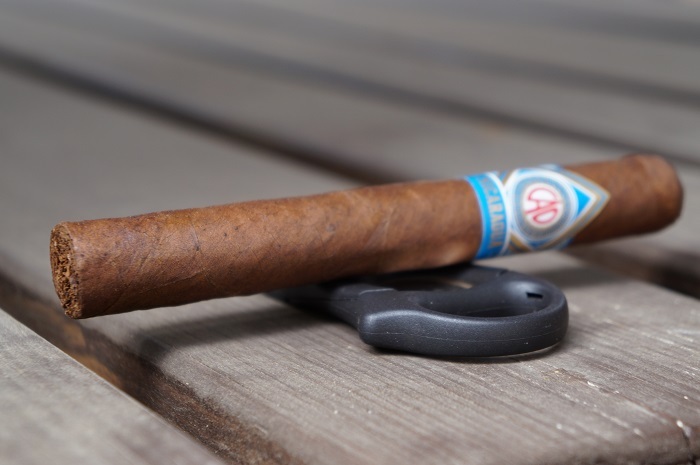 At an inch in, the cigar begins to heat up and a fair amount of mintiness joins in with the mustiness up front while the charred wood is in the background. 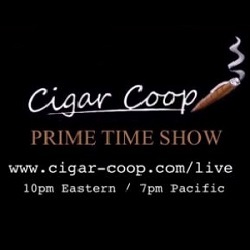 The cigar finished out with this same profile. The strength in this third bumped up to slightly below medium. The cedar on the post draw and retrohale fades into the background in the last third. The regular draw and retrohale largely become a sweet cocoa at a light plus strength. The burn was slightly wavy but never needed any attention. The ash held on in inch and a half increments. 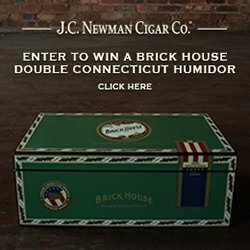 I had burn issues with the cigar going out 3 times in the first third, once in the middle third, and once in the last third. The burn itself was slightly wavy, but never required a touch-up, with the ash holding on in 1 inch increments. The draw had the perfect amount of resistance that I prefer. 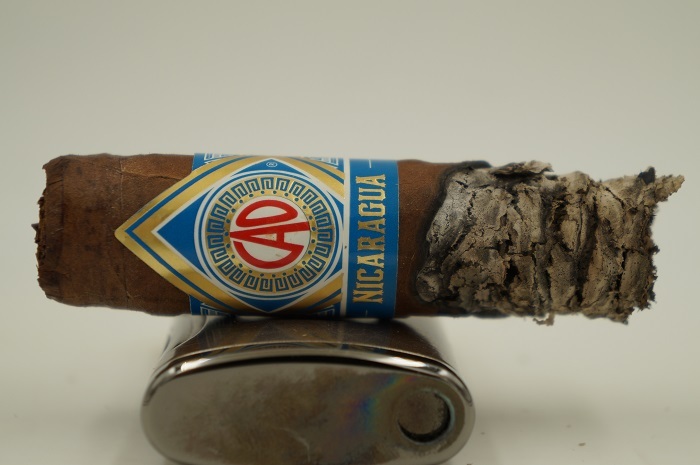 The CAO Nicaragua Granada had a pretty linear profile of wood, baking spice and mustiness. Some cream was present at times along with a bit of char to the wood. Strength was below medium the whole way. 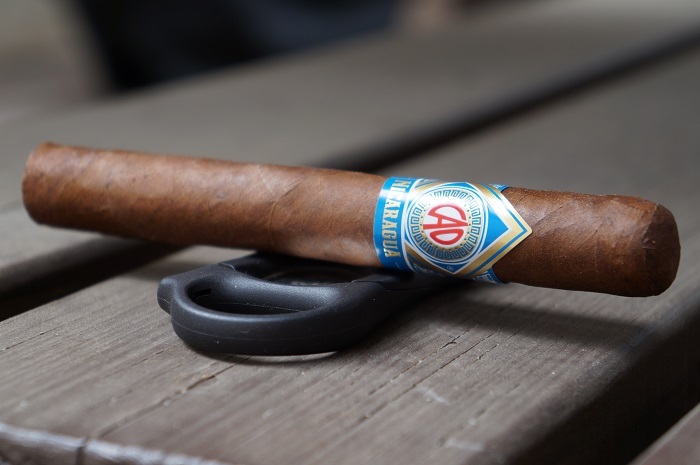 I get a similar profile from this cigar that I get from a lot of cigars from General that I can only describe as a homogenized tobacco character. 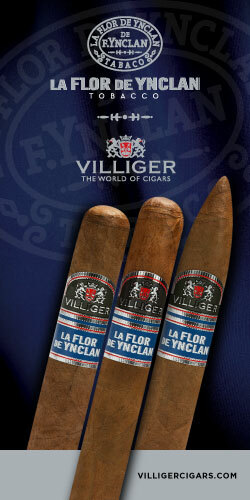 I could see this cigar doing well with fans of General cigars or those that like low strength. 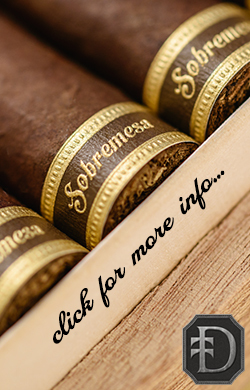 It would even be a good cigar to give to a new cigar smoker or someone who wants to try a “Nicaraguan” cigar for the first time. 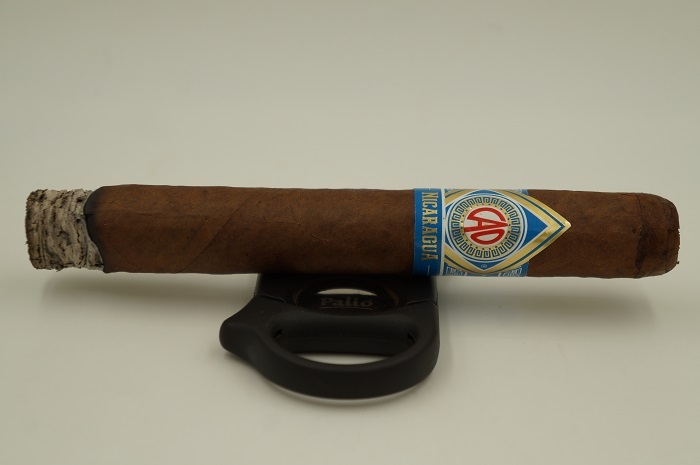 While I probably won’t gravitate to this cigar again, I could see it doing very well in the market. 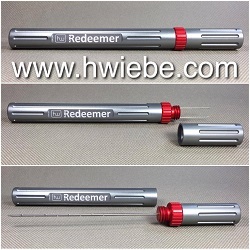 Using a v-cutter, the draw was quite tight, but still smokeable. 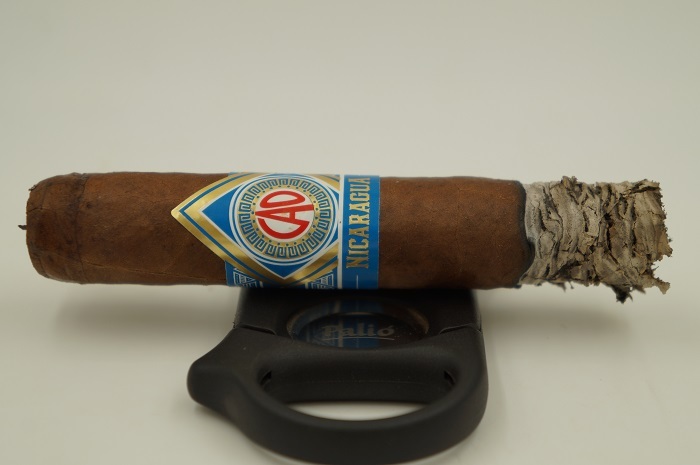 Overall, I found the CAO Nicaragua Granada to be an average smoking experience. 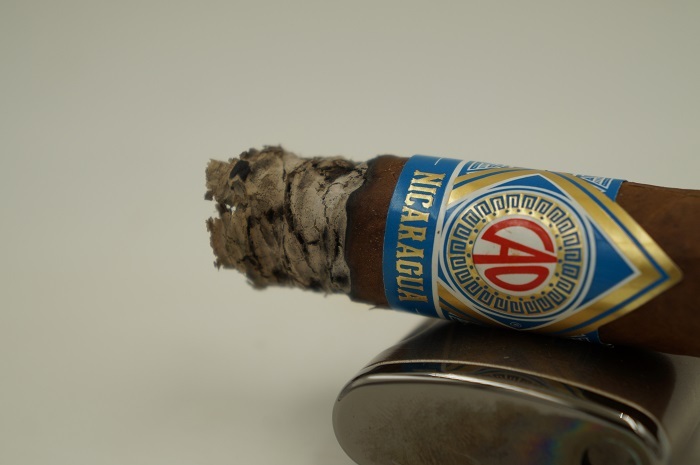 The flavor profile was significantly lighter than what I would anticipate from a cigar showcasing Nicaraguan tobacco. We are doing a pretty simple contest and will have two (2) winners. 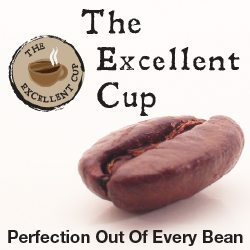 Go to the Developing Palates podcast on iTunes, subscribe and leave us a review. Post a comment here letting us know that you’ve done it and the name the review will show up as on iTunes. We will then take everyone that has done the entry and randomly pick the two winners. We will leave the contest open until Sunday, November 11, 2018 at 11:59PM Pacific Time. You must be 21 years of age or over (Age verification will be conducted with winners). You must be a resident of the continental United States. Prizes will only be shipped to addresses in the continental United States. Developing Palates is not responsible for prizes damaged or lost in transit. 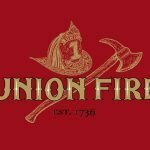 Occasionally cigars/prizes go missing, get damaged before we ship or other natural disasters occur, we reserve the right to replace a prize winning with something of equal or more value. In the event of replacement, winners will be notified before replacements are shipped. In order to enter the contest you must post that you have subscribed/submitted a review in the comment section of this post. Unless otherwise specified, you can only enter each contest a single time. Multiple entries will be disqualified. All winners for random contests will be chosen randomly. Contests where winners are not selected at random will be specifically noted. Additional rules beyond what is stated on this page will be explicitly stated on contests where additional rules apply. By entering a contest, you accept the terms and conditions stated above. 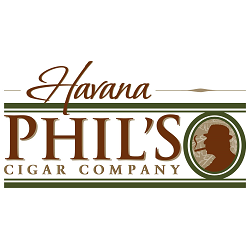 Developing Palates will only ship winner’s cigars if they follow the above steps and email the appropriate e-mail address. Developing Palates reserves the right to change these rules at any time. 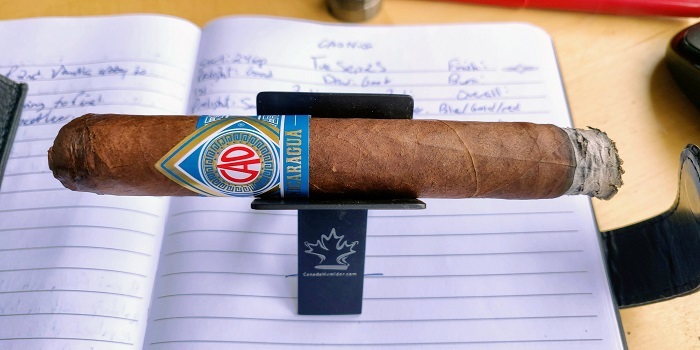 Team review recap CAO Nic Granada.